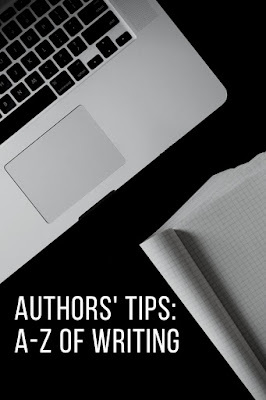 Welcome to Week P of Authors Tips' A to Z of Writing. 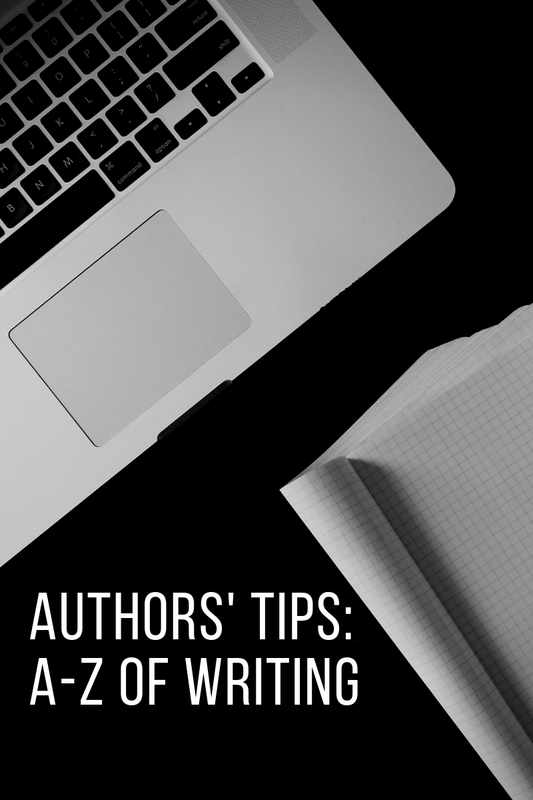 Authors share their tips on writing fiction and each week we talk about various aspects of writing. This week, it's time to take a closer look at Pacing. 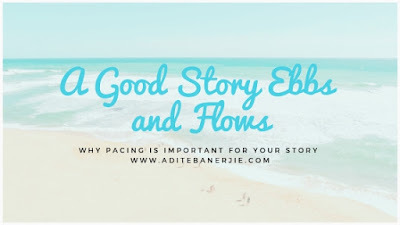 It's often easy to mistake 'pacing' with the genre of your story or its characters. One would assume that a thriller where the protagonist is racing against time to save the world needs to be fast-paced whereas a story that deals with the easy going life of a gentle old lady who lives a quiet life in the hills would obviously be more slower paced. Fact is, that the ebb and flow of a story has little to do with the genre or characters and more to do with the pace of the narrative or its momentum. Sure, a thriller will need to have a more 'hurried' pace than one in which an old lady is reminiscing about her life. But even in a thriller you need to give the reader some pause for reflection. To vary the pace so that she is not overwhelmed by all the frenetic action. Similarly, in the second type of story, you will need appropriate action placed at the right moments so that the reader doesn't abandon your book altogether! Much like the tides, a good story ebbs and flows. So what determines pacing? The combination of description and dialogues and how you mix it up is critical to pacing. Here are some points to keep in mind. Quicken the pace by having shorter descriptive paragraphs. Punchy dialogue with a few lines of description is great for writing scenes with tension or action. Slow down the pace by providing description of the surroundings or even some elements of backstory or getting into the head of the character. You need a combination of both because in life and in fiction there is tension followed by calm. Backstory should always be given in small chunks or else it will look like information dump. Worse, it will stop your plot from moving forward. Balance is critical to your story. Make sure that your chapters have the right mix of fast and slow paced scenes. That will ensure that your readers stay engaged with your story. Happy Writing and do share your thoughts about Pacing in the comment box below. Don't forget to check out the other P posts in the series. 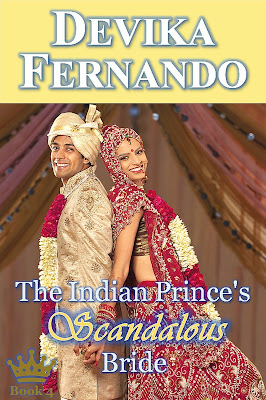 There is a new book on the indie publishing block and it's called The Indian Prince's Scandalous Bride. Better still, it's been written by the fabulous DEVIKA FERNANDO. I simply love the title and all that it promises on its pages (ahem!). When I asked the author why she likes writing about 'scandalous' women, here's what she had to say. She has very helpfully added an excerpt from the book, which simply wants me to pick up the book right away! Over to Devika! 'Thanks a lot for having me over, Adite. Ashley sends chocolate, and Vivaan sends flowers,' - Devika. hope so. ;) I chose it for two reasons: Firstly, all of my royal romances have a word beginning with S in the title (Special | Stubborn | Surprise | for Book 5 Secret). Secondly, I wanted to highlight how unlikely it seems that these two protagonists find their happily-ever-after. 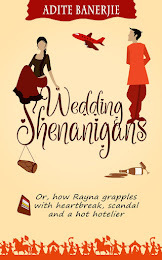 They’re polar opposites: a fiery redhead from England who works as a wedding planner and has had very bad luck with men so far; a prince from India who isn’t supposed to marry for love and should never indulge in holiday flings either. But as happens in real life too, love cares little for logic. I can’t tell you why Ashley, the heroine, is scandalous because that would be a spoiler. But I can tell you one thing: she’s a modern woman, someone flawed and relatable. And in a way, that means that all of my brides in the royal romance series are “scandalous”. I don’t write classical heroines who are rather meek, swoon and moon over the hero, are flawless angels and would know the answer to everything. I write women who feel authentic, who could be one of your friends or someone you wrote about on the news. And yes, such ‘normal’ women DO enter the world of the royals, as many real-life weddings prove. My heroines can be single mothers, divorced, introverted, mixed-race, orphans, abuse victims… They can be sassy, mule-headed, volatile, have trust issues or love their independence… Because that’s alright and that’s also how many women are in reality. And it’s all the more fun to write such characters and pair them with royalty. They deserve that bit of magic, that better life, that chance at loving men who are far from ordinary but also far from perfect themselves. different. Modest by international standards, with elbow-length sleeves and a neither too loose nor too tight cut, it was currently hugging the woman’s every curve and exposing a tantalizing sliver of even paler thigh as its wearer was kneeling on the stones and leaning towards the water of the pond. Swallowing around a dry throat, Vivaan scolded himself for ogling the stranger like this. He’d been treated to his own share of being ogled ever since childhood, and he detested it. But he couldn’t help himself. Who was this woman more likely to be encountered on a piazza in Italy or in a river-side park in Paris? And what was she doing here, all alone and unaware? Wait, was she alone? Belatedly, it occurred to him to scan their surroundings, half-expecting a bespectacled diplomat accompanying his secretary or a potbellied European aristocrat who’d swoop in to claim his trophy wife. But there was nobody to be seen. It was only him and the water nymph, who chose this very moment to lean forward even more, with a soft grunt and then an unladylike squeal. Vivaan had barely torn his eyes away from another inch of bared thigh when the figure righted itself with a splash of water and a twirl of fabric. His breath catching in his throat, he studied the rest of this mysterious visitor that was now revealed. The woman was sitting on the stones, completely oblivious of him standing several feet away as she stared enraptured at something in her right hand, dripping water. She had a mane of reddish brown hair, catching the sunlight to gleam in tawny and amber shades and giving her even more of an ethereal, magical feel. Her profile revealed a strong chin and a full mouth. She moved her hand, and what she was so reverently holding in her palm glittered a startling blue. 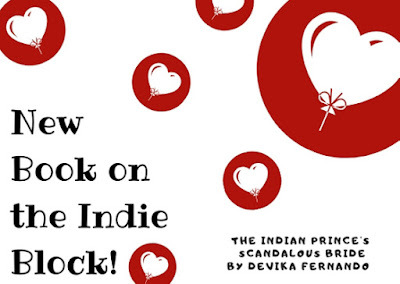 For more info about Devika's book, check out this link.